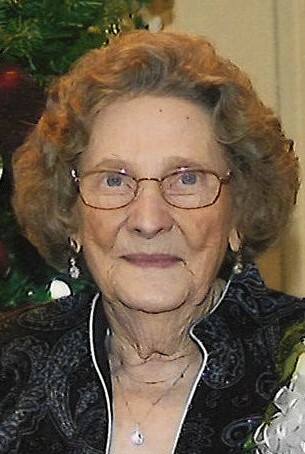 Kathleen Wicker Jones, age 90, of Sanford, NC, passed away on Sunday, January 13, 2019 at Parkview Retirement Center. She was born in Moore County on August 21, 1928 to the late Daisy Ashburn. In addition to her mother, she was preceded in death by her husband, Carlton Jack Jones. Kathleen was a long-time member of Morningside Presbyterian Church. She is survived by three daughters, Carolyn Jones Mason and husband, Ray of Spring Lake, Patsy Jones Wadford of Erwin, Jackie Jones Tyler and husband, Wallie of Sanford; six grandchildren and thirteen great-grandchildren. The family will receive friends on Wednesday, January 16, 2019 from 6:00 PM to 8:00 PM at Bridges-Cameron Funeral Home. A celebration of life service will be held on Thursday, January 17, 2019 at 2:00 PM in the chapel of Bridges-Cameron Funeral Home with Rev. Kevin McHarg officiating. For those able to attend the burial, it will be held in Lee Memory Gardens following the service. In lieu of flowers, please consider donations to Alzheimer’s Association, 5171 Glenwood Ave, Suite 101, Raleigh, NC 27612 and/or Community Home Care and Hospice, 1836 Doctor’s Drive, Sanford, NC 27330.